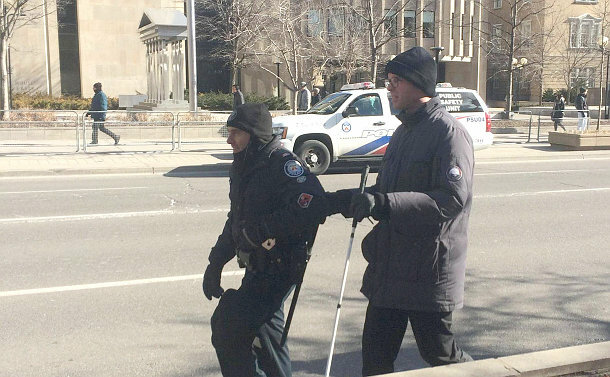 A photo of a Toronto police officer helping a blind man get to a demonstration on Monday is making its way through social media. 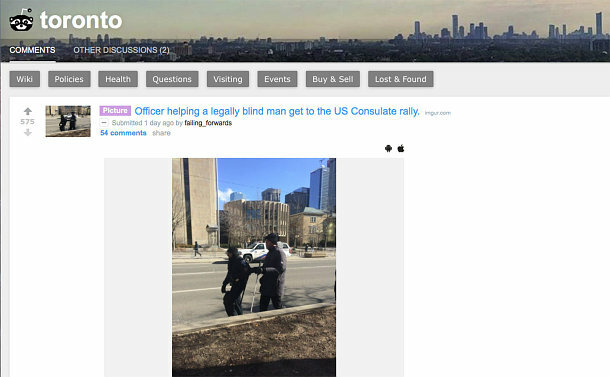 While on duty outside the United States Consulate on January 30, where protestors had gathered to protest American president Donald Trump’s executive order restricting immigration from certain countries into the United States, Staff Sergeant Jack Gurr went to the man’s assistance. Assigned to Human Resources, Gurr works part-time as a Public Order officer and is summoned whenever there is a crowd-management event. Gurr said the gentleman was extremely grateful for the help. While the photo of the officer performing the kind deed has received close to thousands of views and positive comments on social media, Gurr said he was simply doing what he’s trained to do.